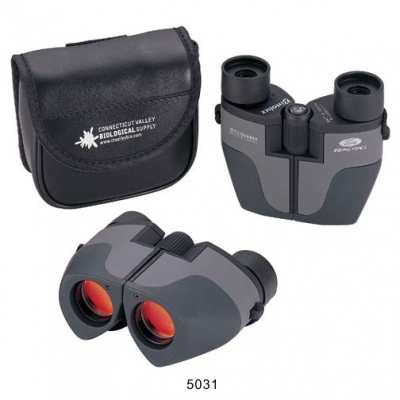 8 x 21 smooth rubber covered binocular with ruby coated lenses. Comes with carrying case. Imprint on binocular or case. This Binolux® Compact Binocular is a great corporate gift idea. Price includes one color imprint silk screened in one location. Suggested Colors: White, Gold or Silver. Approx. PMS match also available. Options: 2nd location imprint $1.25 each, plus setup.